The question, “Where is the mind located” has never been conclusively answered. I recently discovered a likely spot where the mind could be located. 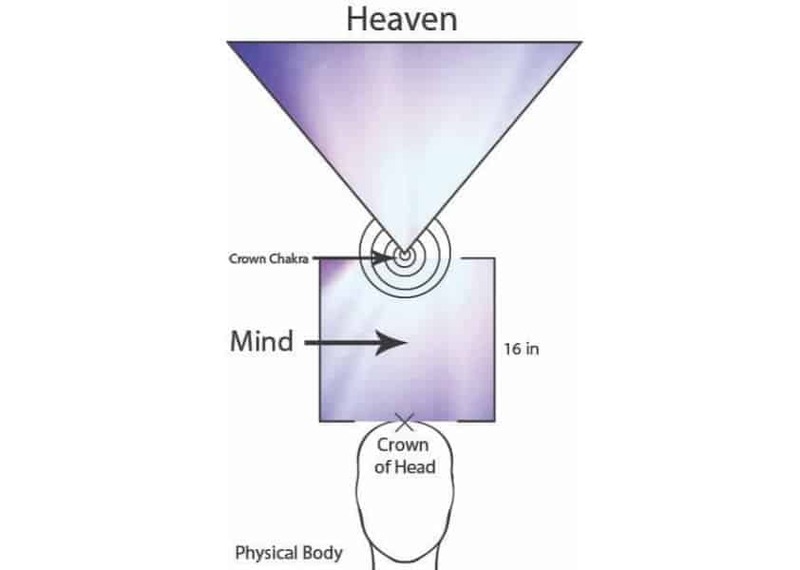 As I was studying, it perked my attention that there are 16 inches of space between the crown of the head and the crown chakra as depicted in the below diagram. Several questions formulated in my mind as I pondered about this 16 inches of spiritual space. Why did God put space between the crown of the head and the crown chakra? Why is there no visible physical matter or a named body part in this space? What is the purpose of this area of spiritual space? Why isn’t the crown chakra located at the crown of the head? It is known that the chakras are the system that carries energy throughout the body and that heavenly energy enters the body through the crown chakra located 16 inches above the crown of the head. You can’t help but wonder what is happening in this spiritual space where there is no physical matter? It occurred to me this is where the mind could be located. This made sense for the mind to be located geographically in an area between our higher-self that is in heaven and our physical body that is on earth. 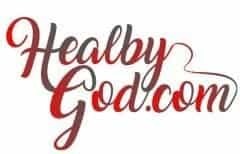 How genius is that to put the communication/thinking center (the mind) between our heavenly spiritual self and the portion of our spirit that is housed in our physical body. There is research to help us understand the brain and the mind are not the same. Below is a statement from Dr. Salt addressing the difference between the brain and the mind. Brain and mind are not the same. Your brain is part of the visible, tangible world of the body. Your mind is part of the invisible, transcendent world of thought, feeling, attitude, belief and imagination. The brain is the physical organ most associated with mind and consciousness, but the mind is not confined to the brain. The intelligence of your mind permeates every cell of your body, not just brain cells. Your mind has tremendous power over all bodily systems. I believe Dr. Salt’s statement is true. Since the brain is physical (visible) matter and the mind is spiritual (invisible) matter, it is likely the mind is located in the 16 inches of spiritual space between the head and the crown chakra. I also believe Dr. Salt’s statement that the mind extends to every cell of the body. Since the mind stretches throughout the whole body to every single cell, it stands to reason there is a “leader” mind to orchestrate harmony between all cell minds. I believe the “leader” mind is located as aforementioned. For many years it was believed that memories were stored in the brain, but because of more recent discoveries found through organ transplant research, many have changed their mind about where memory is stored. There are numerous cases where people who received organ transplants began to have thoughts, feelings, dreams, and food cravings that were foreign to their being. After further study, it was discovered these foreign thoughts, feelings, etc. came from the cell memories of their organ donors. Very interesting! Today many are convinced that memories are stored in the minds of cells all over the body. It is logical there is a “leader” to keep things running smoothly between all cell minds of the body. As to where this “leader” mind is located is for you to decide. Since my son has a mental disorder, Bipolar II Disorder, I feel it is important to understand where the mind is located so I can focus on that area when doing a healing session for my son. 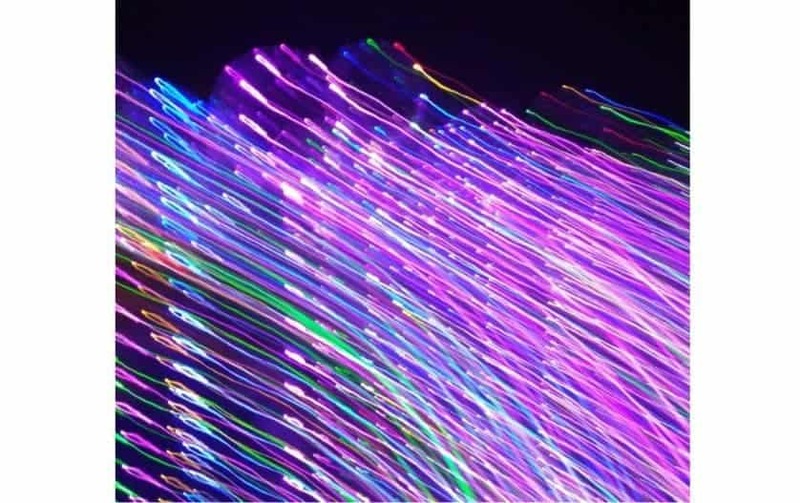 I like to focus purple and white light (healing colors) into the area I am working on. Therefore, the location of the mind is important when doing healing work.